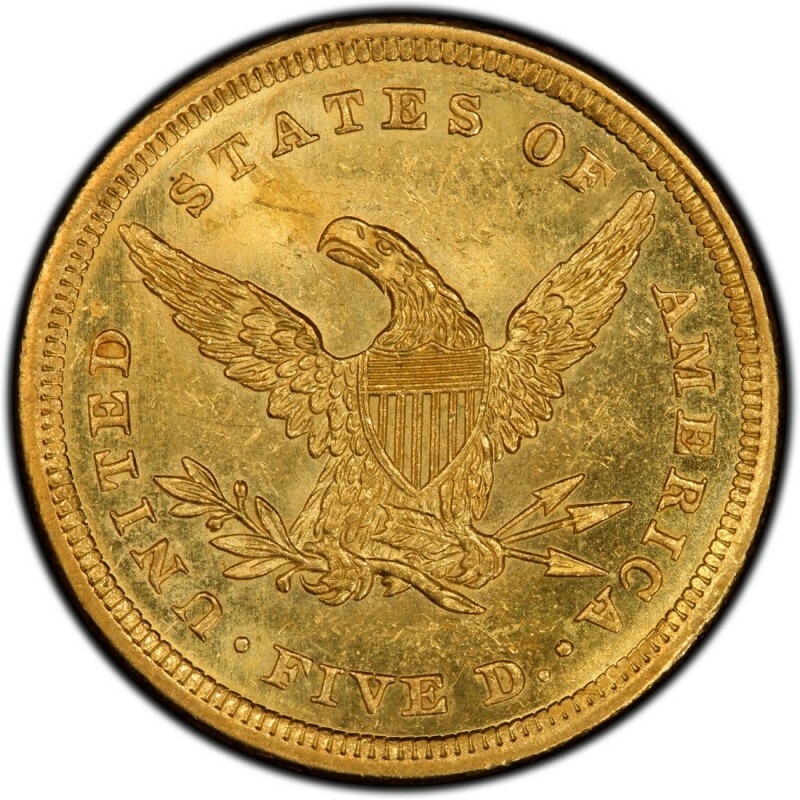 1839 Liberty Head half eagles are the first of a long-running $5 gold coin series that was designed Christian Gobrecht, the same designer of Seated Liberty coinage from the 1830s through 1890s. Liberty Head $5 half eagles feature a composition consisting of 90 percent gold and 10 percent copper, resulting in a net pure gold weight of 0.24187 ounces; in total, $5 Liberty Head half eagles weigh 8.359 grams. During the first two years of the series (1839 and 1840), Liberty Head half eagles measures 22.5 millimeters in diameter. By the end of the year 1840, the diameter of the coin was reduced to 21.6 millimeters, making it slightly larger than a modern-day 5-cent nickel. 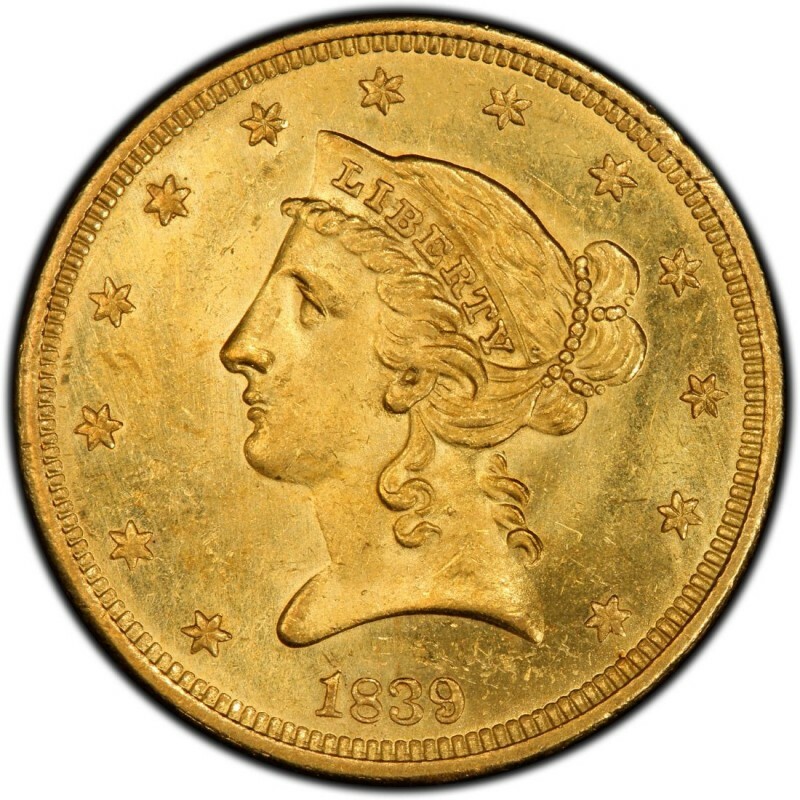 As is the case with virtually all other Charlotte- and Dahlonega-mint coins, the 1839-C and 1839-D Liberty Head half eagles are very scarce and exist in much smaller quantities today than the mintages listed above may suggest. Buyers should bear this in mind when buying C- and D-mint gold coins and ensure that the pieces they are buying are authentic. 1839 $5.00 SUPER NICE NGC AU 50 FIRST YEAR RARE KEY DATE LIBERTY HEAD COIN! !